Bath Archers required several branded items of sportswear for their club members. After a free consultation they purchased a selection of garments including, embroidered caps, T-shirts, sweatshirts and polo shirts. 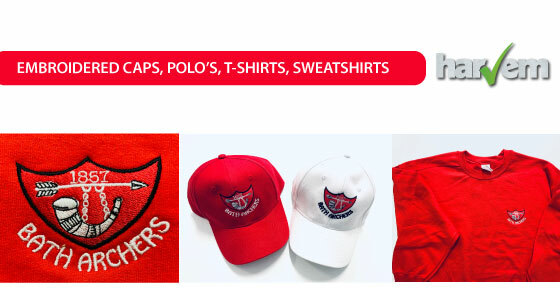 Bespoke branded sportswear with real impact delivered on time and within budget.